By Tayana Simpson - Coordinating Editor · January 31st, 2019 at 4:21 p.m.
Talking about mental health needs to go beyond just one day. January 30 was Bell Let’s Talk day, a day dedicated to ending mental health stigma. According to Bell’s website, “For every text message*, mobile and long distance call*, Bell Let’s Talk Day video view on social media, tweet using #BellLetsTalk, use of the Bell Let’s Talk Facebook frame or Snapchat filter, Bell will donate 5¢ to Canadian mental health initiatives.”. UBCO’s campus was filled with signs, hats, pens, and photo opportunities intending to get people talking about mental health. But there’s a few things wrong with this picture. First, mental health isn’t a one-day thing. As many have explained on social media, depression, anxiety, and other mental health issues occur every single day. As someone who struggles with anxiety and anxiety attacks, I can attest to how long of a road it is. Really, it’s a road with no end, that you work on simply making smoother and easier to manage through medication, counselling, and other options. So yes, let’s end the stigma around mental health. But let’s end it every single day, not just on January 30, when everyone decides it’s cool to post to their Instagram story. Second, let’s talk about the exploitation and commodification of mental health. Bell is a company ultimately trying to make money. That means that no matter how much you tell yourself that they started this initiative because they care, they really started it because ethical consumerism and social justice became trendy. Similar to Nike using Colin Kaepernick for its ad campaign, or Dove with its focus on body positivity (despite being owned by the same parent company as Axe), Bell began the Let’s Talk campaign with the intent of making money. This is evident in news stories published about their treatment of employees during the Let’s Talk campaign. CBC published an article in 2017, where its stated that “current and former employees describe panic attacks in the workplace, stress-induced vomiting and diarrhea. Some reported crying before starting call-centre shifts and said taking stress leave is "common." Clearly, Bell only cares when they have a chance to make money. Lastly, we need to question where the money they make is going. Their vague statement quoted at the top of the article mentions “mental health initiatives,” but what does that mean? Are they donating it to funding for those who have no access to medication, counselling or healthcare? Are they donating it to research? Have there been any results that demonstrate the tangible impact the money made is giving? Has anybody been directly helped by the funds raised? I’ve yet to find answers to these questions. 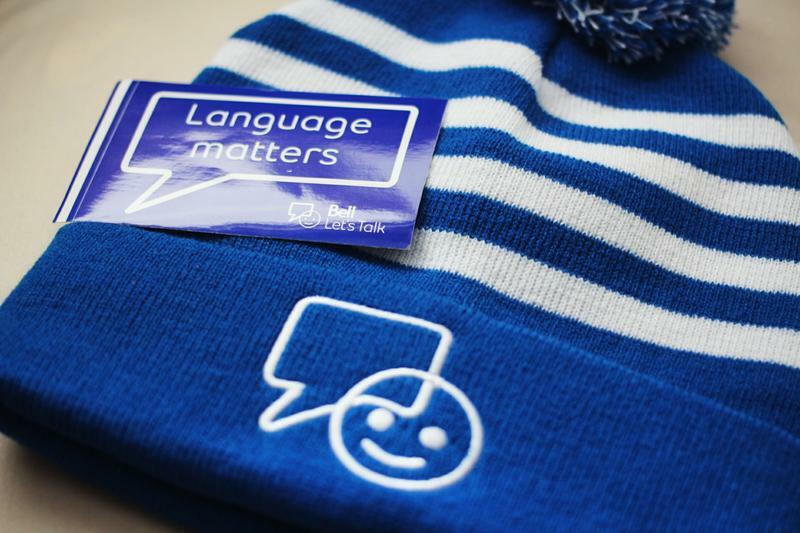 Ultimately, Bell Let’s Talk is a great way to start the conversation around mental health, but it is decidedly not the be all and end all of ending mental health stigma. For those who shared on their story, or sent a message to friends today, think about your behavior beyond this one day. All of us need to start bringing mental health into our everyday conversation, and we don’t need Bell to do that.